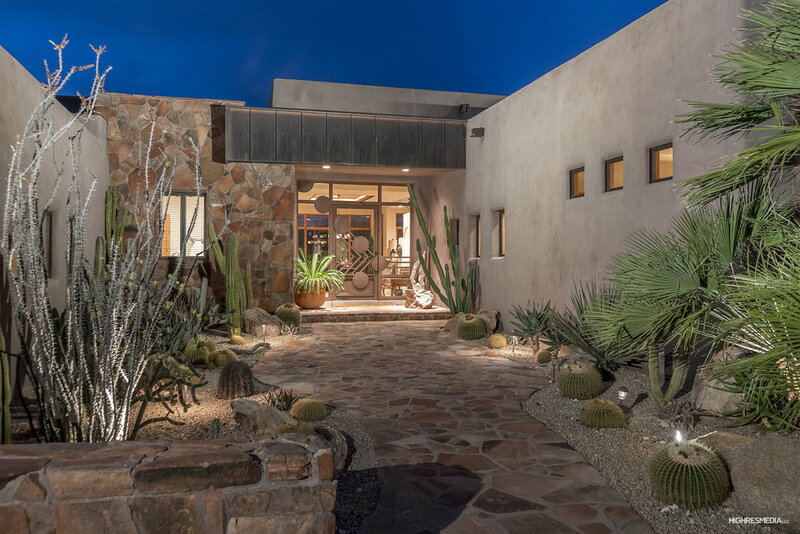 Located in the exclusive guard-gated community of The Boulders, this beautiful custom home awaits. 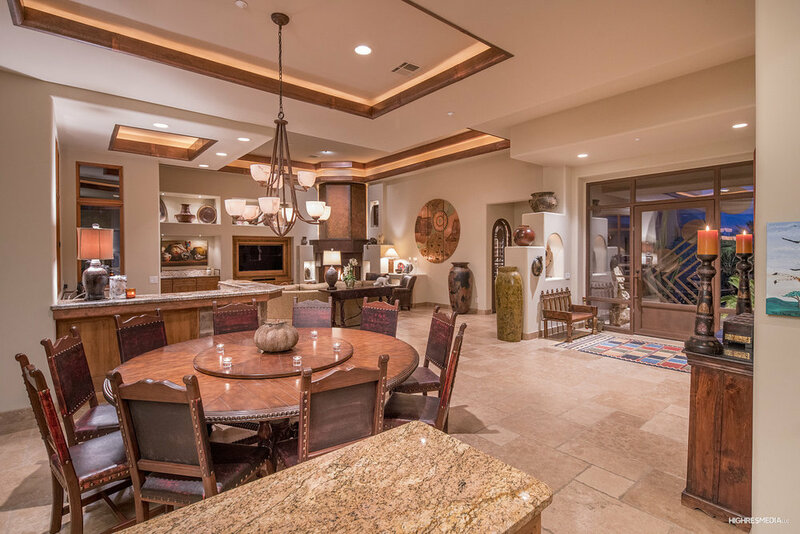 Entertainer's floor plan with a large great room w/ wet bar & wine cellar, split plan w/ master and den on one side and three en-suite bedrooms on the other. Unique interiors include a copper fireplace in great room, copper coffered ceiling details. 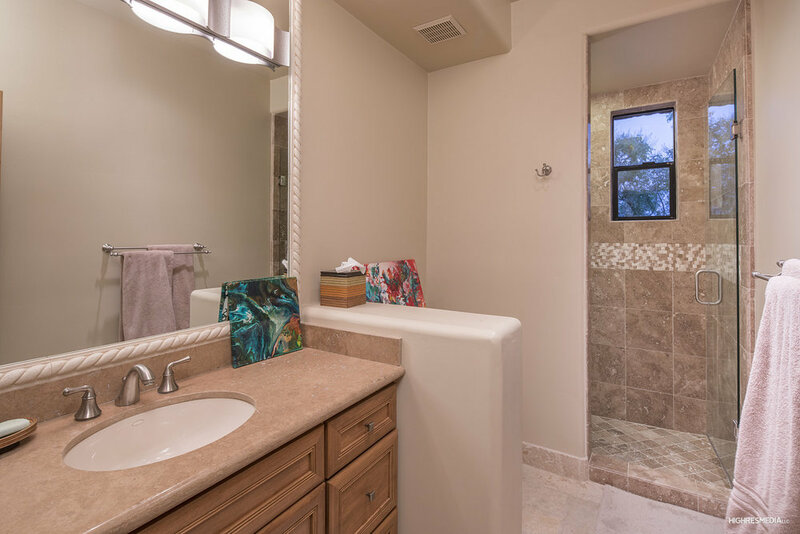 travertine flooring, private guest quarters with it's own entry, living room and patio, spacious island kitchen with SS appliances, granite countertops, breakfast area and more. 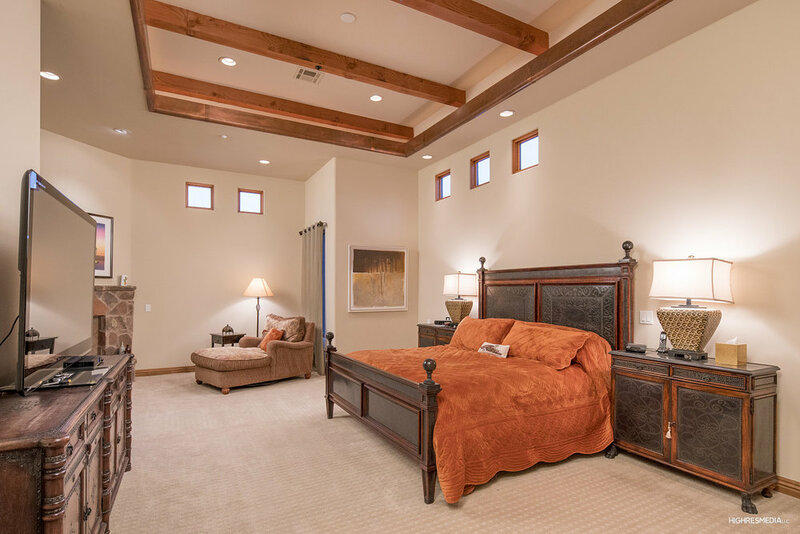 Private master suite with a sitting area, fireplace, entry to backyard and spa style bath with double sinks, jetted tub and walk-in closets. Outdoors you'll find an expansive patio perfect for entertaining with a stone fireplace and pebble-tec pool with spa and waterfall.